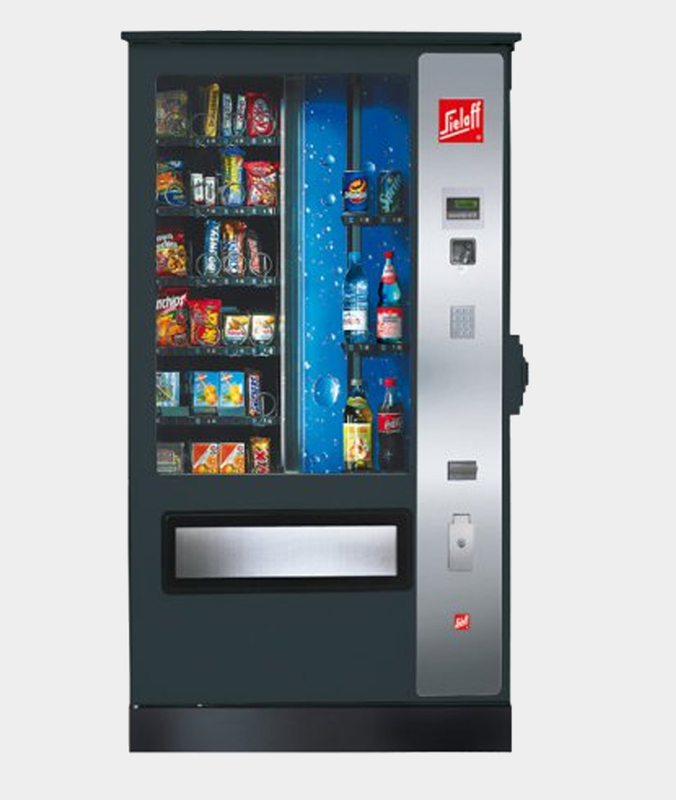 The Sielaff FS 2020 with its high capacity, is the obvious choice for promoting products in high-footfall locations. Chutes are available in various sizes to accommodate the majority of bottles and cans from 0.2 to 2.0 L.
Chutes are easy to exchange and modify on site. Stainless steel containers and spirals. Containers can be tilted for ease of filling upper levels. Containers are fitted with self-locating plug connections without cables. Reinforced option available for containers, from 16 to 40 Kg. Spirals are available in 10 different sizes.